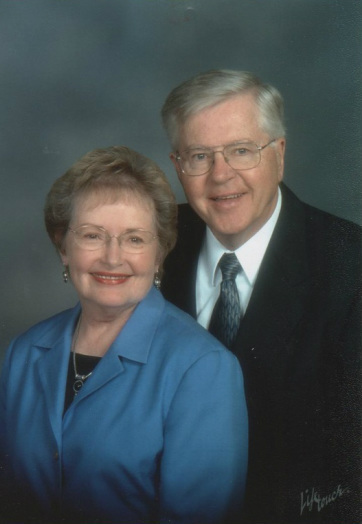 Dr. Richard Einerson, an ordained minister in the United Church of Christ, served churches in Minnesota, Rhode Island, California, and Colorado. He served as Chaplain at Meritcare Medical Center, Fargo, ND for seventeen years and while there was a Satellite Faculty Member of Luther Seminary and an Instructor, Charis Ecumenical Center, Moorhead, MN. He was also a Co-chair of the Medical Ethics Committee; an instructor in the hospitals schools; a member of the critical care joint practice, burn and brain injury teams. He developed an annual lectureship in Medicine and Religion and had such notables as Dr. Robert Coles and Dr. Paul Brand as lecturers. He was chosen to be a Danforth Foundation Seminary Intern in 1959-60 and spent a year at Vanderbilt University. Prior to his retirement as a chaplain he was a Fellow in both the American Association of Pastoral Counselors and the Association of Professional Chaplains for whom he provided four workshops and authored a number of articles. He also authored an article in the United Church of Christ original publication of "End of Life Decisions," Called "What Do People in the United Church of Christ Say About: Support Technologies, Euthanasia and Suicide." His prayers have fostered repeated requests for copies which have been the motivation for this book. Since an early retirement from hospital chaplaincy Dr. Einerson has served as an Interim Pastor at the Community Church in Walker, Minnesota; as a Pastoral Associate at the Palm Desert Community Presbyterian Church in Palm Desert, California; and as an Interim Associate Pastor at Plymouth Congregational Church, Ft. Collins, Colorado. He finally retired at the end of 2004 and undertook writing this book. He is married to Carolyn, his wife of over fifty yrs. They have three married daughters, one granddaughter, and three grandsons. They now live in Commerce City CO, and are members of Colorado to be near the three grandsons. They are members of First Congregational UCC in Boulder, CO. Over the years work has tended to find him. First Congregational United Church of Christ in Greeley, CO called him back into service in 2006 to train hospital visitors. That work led to his being called as "Pastoral Care Associate," although his senior minister referred to him as "Associate Minister for Pastoral Care" at what became yet another retirement in 2012.